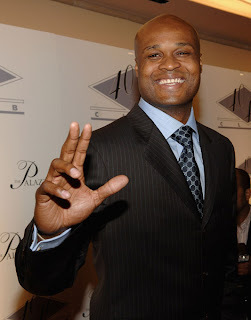 JR, The Black Entertainment Guide: Antoine Walker reality show? At the height of his career, Antoine Walker had a net worth of $110 million and he lived accordingly. His fortune came from playing in the NBA. Early in his career, Walker was very talented and many people thought he would go down in history. Because his focus was hardly ever on the game, Walker would be reduced to a back-up. Much like his superstar status, Antoine Walker's money also went down the drain. Walker had mansions, cars, women, and a passion for gambling. This, along with friends forcing him to spend and spend led to Walker losing everything. The only thing he had to fall back on was basketball and he was no longer very good at that. In an effort to pay off his debts, Walker has filed for bankruptcy and is trying to rebuild himself. Despite being blessed with the world, Walker blew it. However, he is trying to redeem himself, asking to keep one car and one home, along with $2,000. This is what Antoine Walker feels will help him get a new start in life. For the summer, Walker has decided to go back to Kentucky and rebuild his game. Over the years, Walker forgot how to play. What Antoine Walker has on his hands is the premise of the next hit reality. If he is truly trying to regain his fortune and revive his career, the best way to do so would be through a reality show.